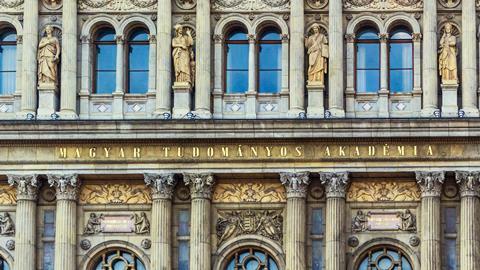 Efforts by the Hungarian Academy of Sciences (MTA) to maintain control over the majority of its finances have failed. With the approval of the Hungarian government’s budget on 20 July, annual funding for the academy of around HUF28 billion (£76.5 million) will be transferred to the Ministry of Innovation and Technology. The academy has a total budget of HUF40 billion, which is used to pay staff and fund research projects and institutions. The president of the MTA, László Lovász, said in an interview with Science that he trusted Minister László Palkovics’s promise that funding distribution would not change. However, he pointed out that ‘guaranteeing the independence of academic research must not depend on one person’. Lovász said that taking away the academy’s ability to finance itself showed that the government did not trust it. A spokesperson from the Hungarian Ministry of Innovation and Technology said that the move responds to a need to end ‘the fragmentation experienced in the management of the relevant fiscal resources’, adding that it would increase the country’s competitiveness. The same source said that the decision was ‘technical’ and would not affect ‘the freedom of the Hungarian Academy of Sciences’. The MTA previously said that the government had only informed it about the amendment, and requested the academy’s opinion, on 12 June. In the academy’s opinion, this was ‘an unrealistically short deadline’. The decision to transfer control of the majority of the MTA’s funds to the government has been interpreted as the latest aftershock of Viktor Orbán’s landslide victory in April. However, Lovász said he didn’t think this was any kind of retribution. In June, Orbán’s government dismissed the head of the National Research, Development and Innovation office, physicist József Pálinkás, who is widely credited for creating a system of grants to retain national researchers and reverse the country’s brain drain. Academia Europaea, the EU’s Academy of Humanities and Sciences, also published a letter in support of the MTA. ‘The amendment … would diminish the quality and scope of the scientific output from Hungary and fail to have positive effects on the Hungarian research environment’.